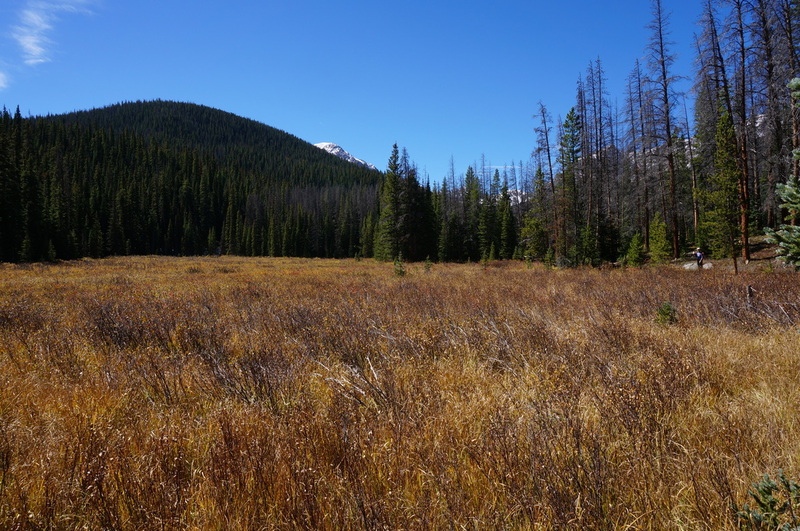 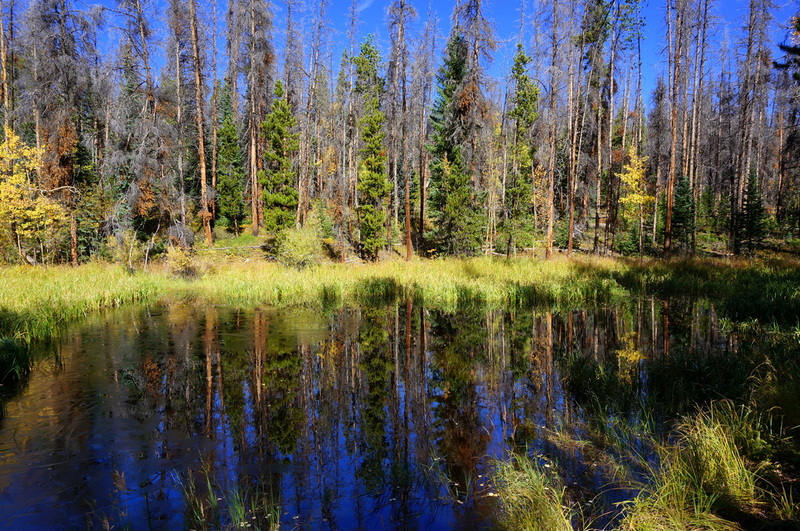 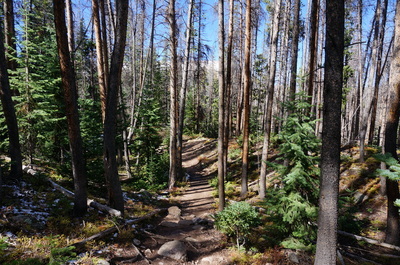 Directions: The hike to Boulder Lakes leaves from the Rock Creek Trailhead. 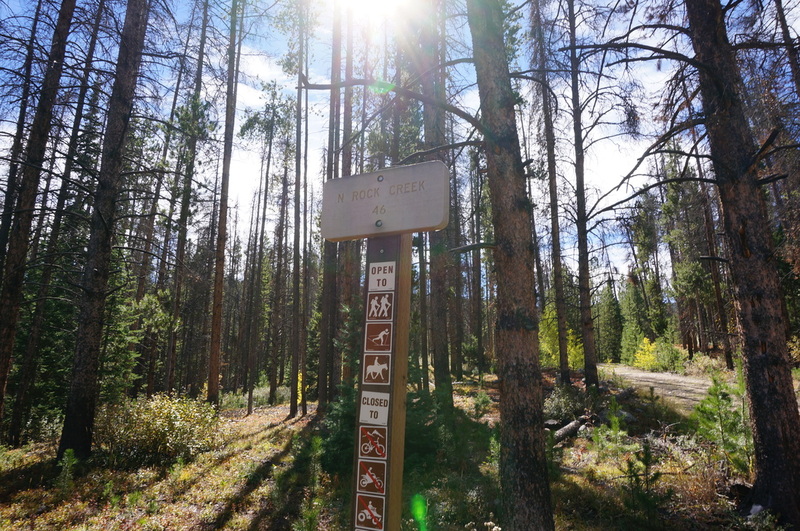 To get to the trailhead from Silverthorn, take Hwy 9 north and make a left (west) on FS Road 1350 Across from the Blue Lakes Campground. 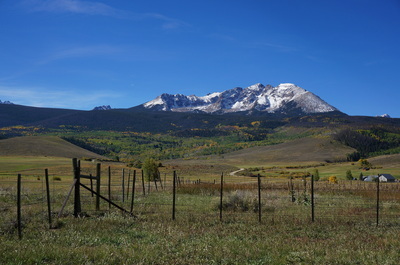 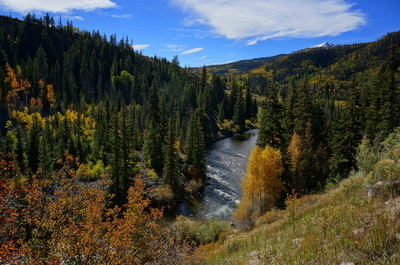 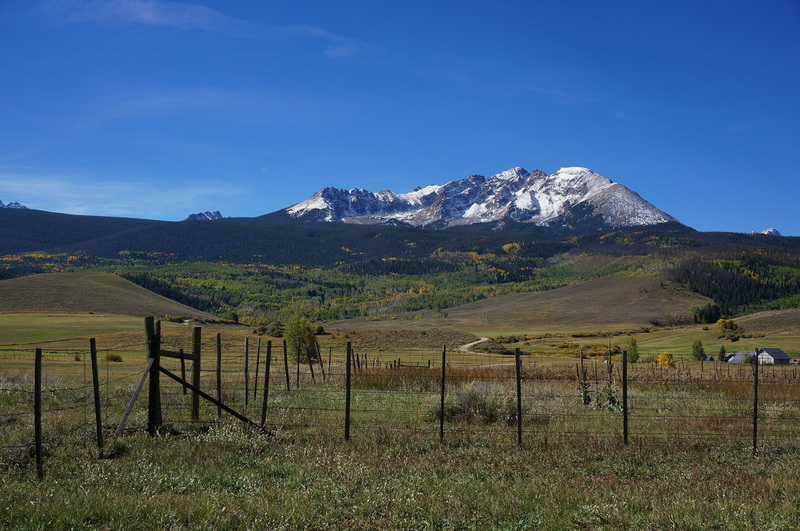 This dirt road is is good shape, follow the road and signs to the Rock Creek Trailhead. 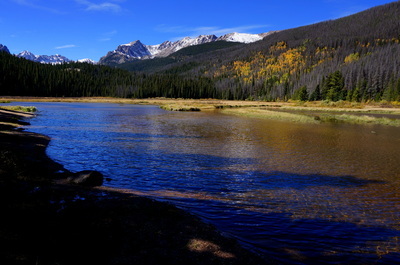 The hike out to Boulder Lake is great for a half day fall hike to a beautiful lake with the Gore Range as a staggering backdrop (it would also be a terrific easy backpacking adventure and base camp...) You start from the Rock Creek Trailhead, heading west on the N. Rock Creek Trail and entering the wilderness area. 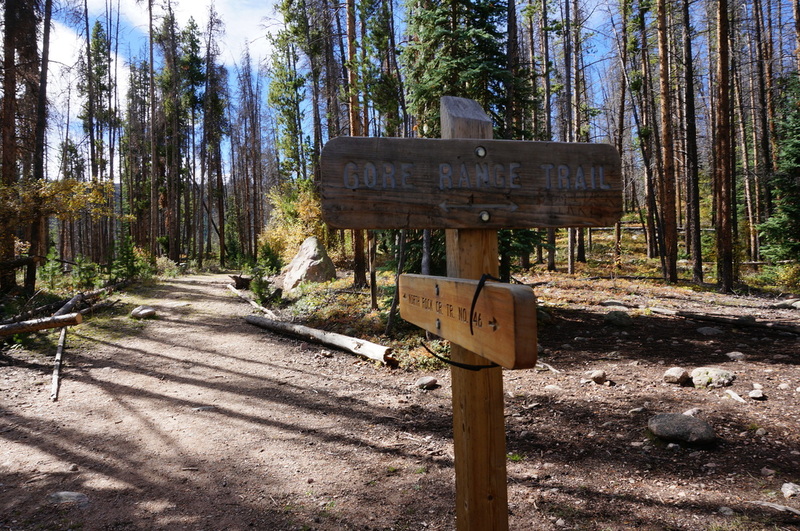 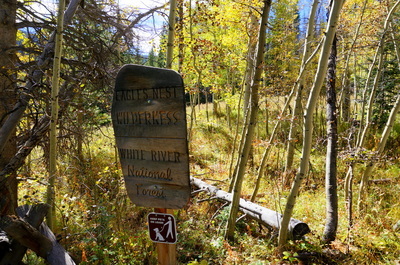 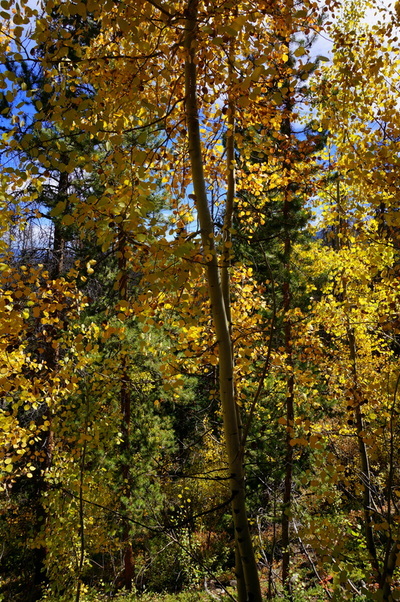 After about 1 mile, take a right (north) on the Gore Range Trail. 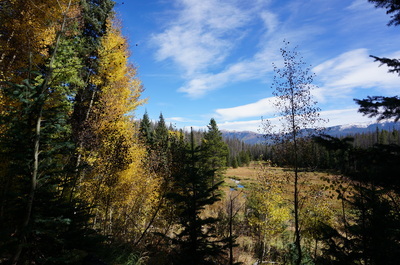 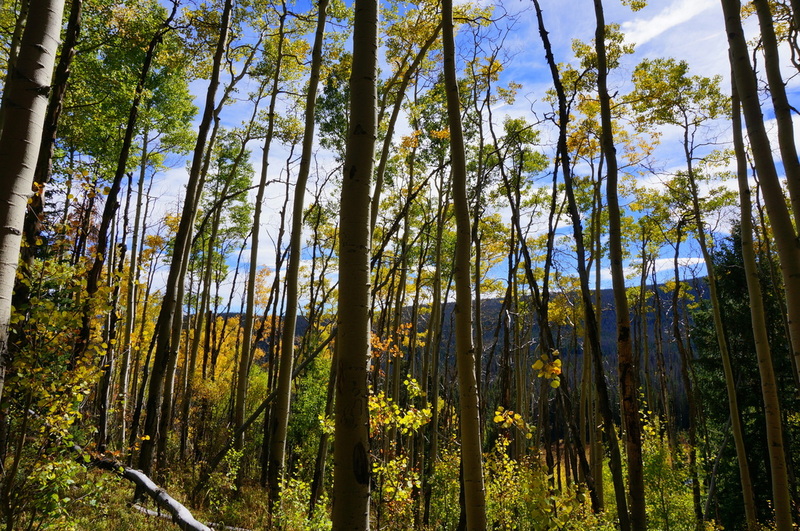 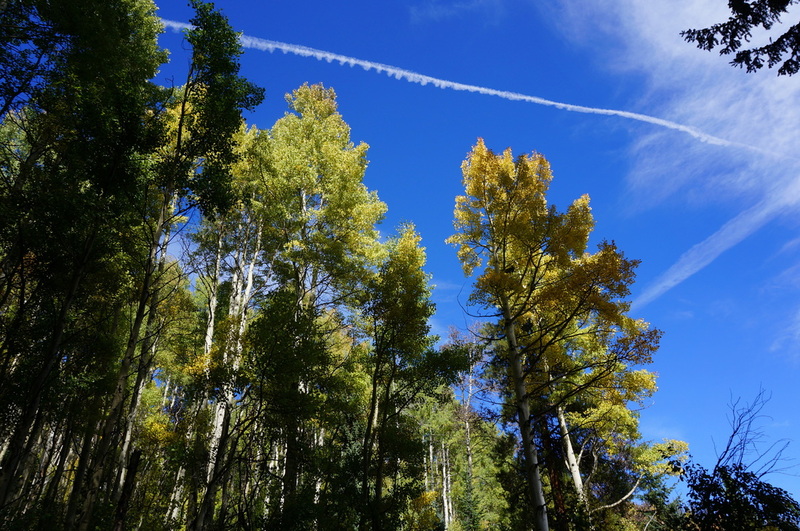 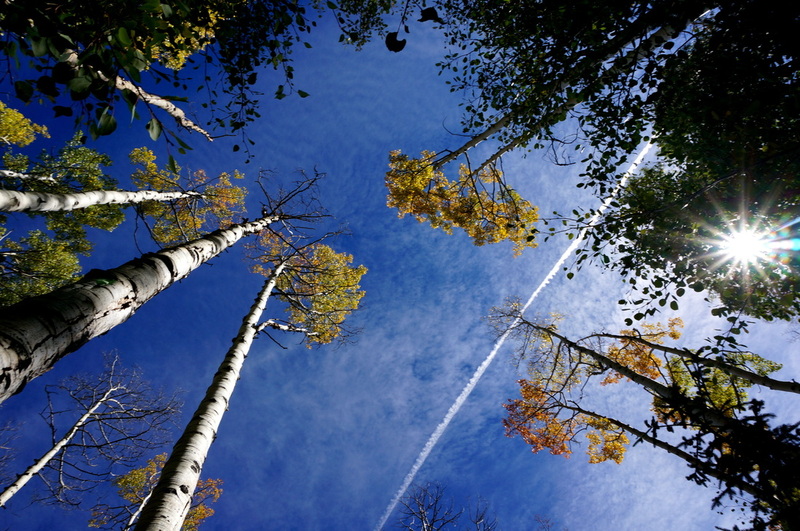 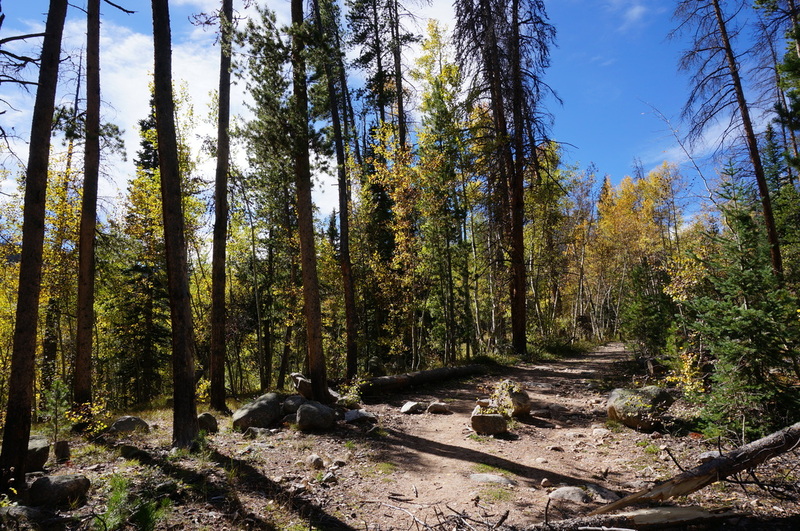 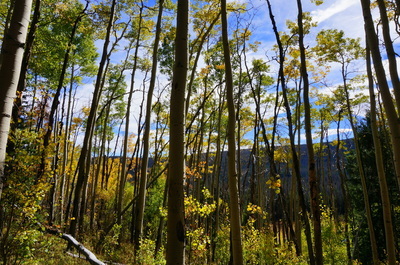 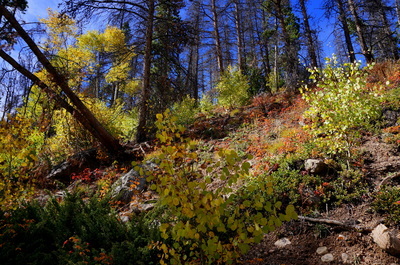 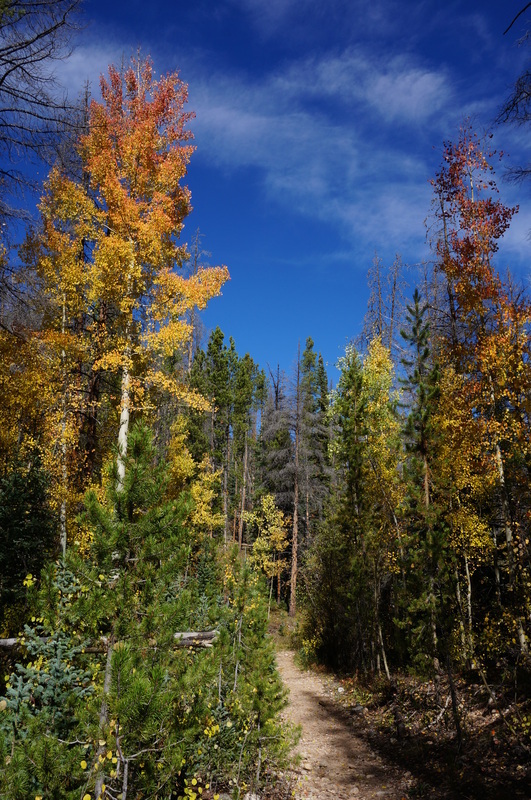 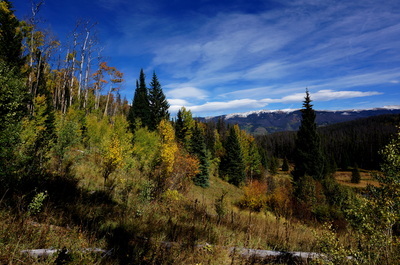 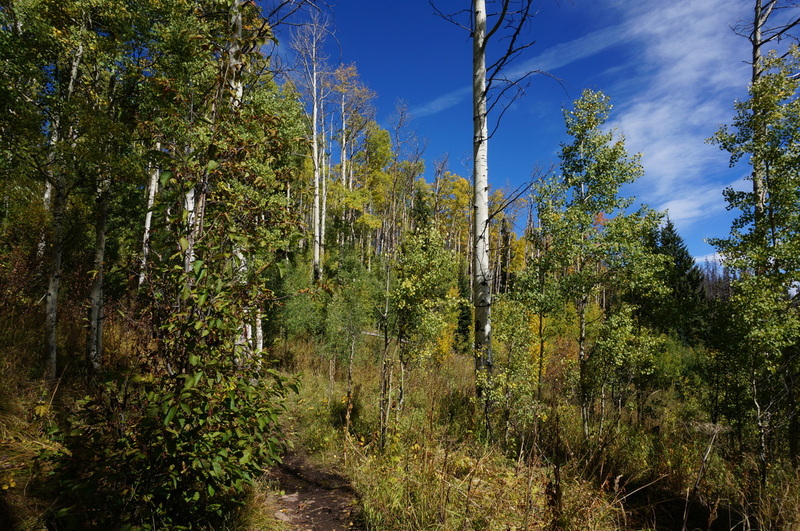 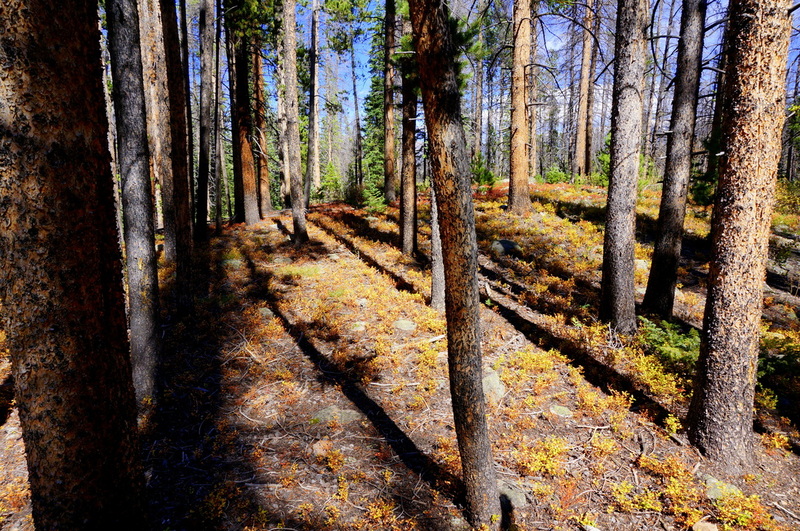 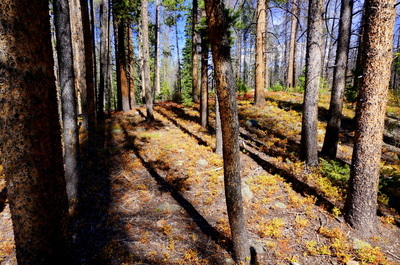 The trail winds through an evergreen forest mixed with plenty of beautiful Aspen Groves to make the colors pop in the autumn. 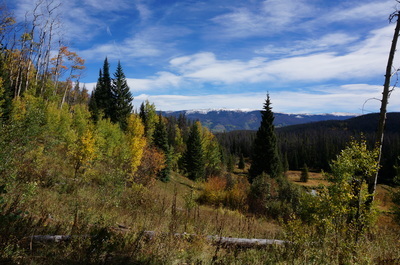 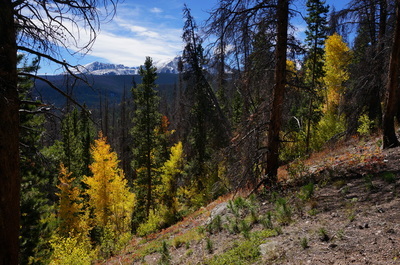 The trail rolls over wooded hills and every now and then the trees open up to offer beautiful alpine views. After a little over 2 miles the trail meets up with the Boulder Creek Trail. Turn left here and it is less than one mile to the lake. 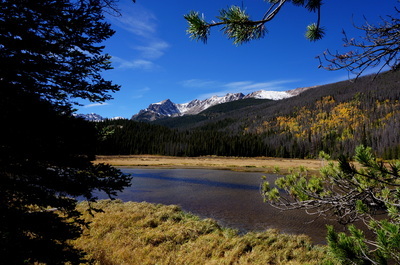 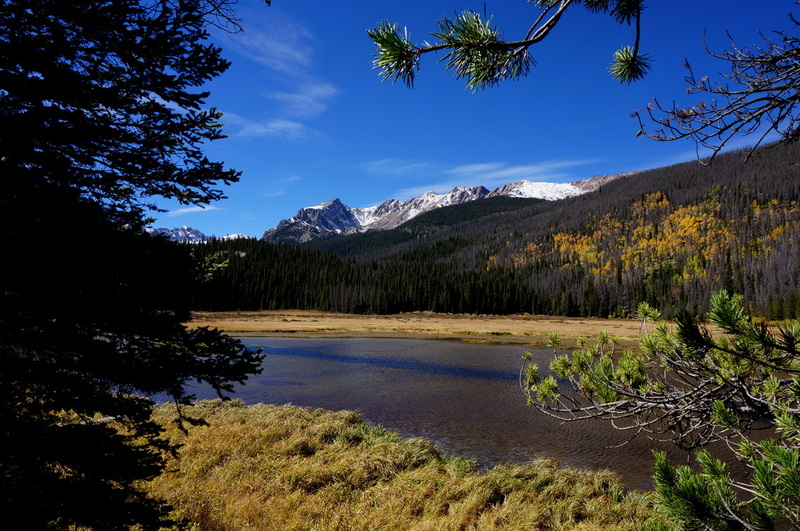 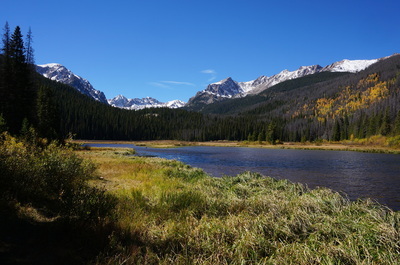 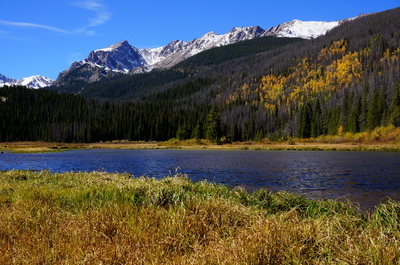 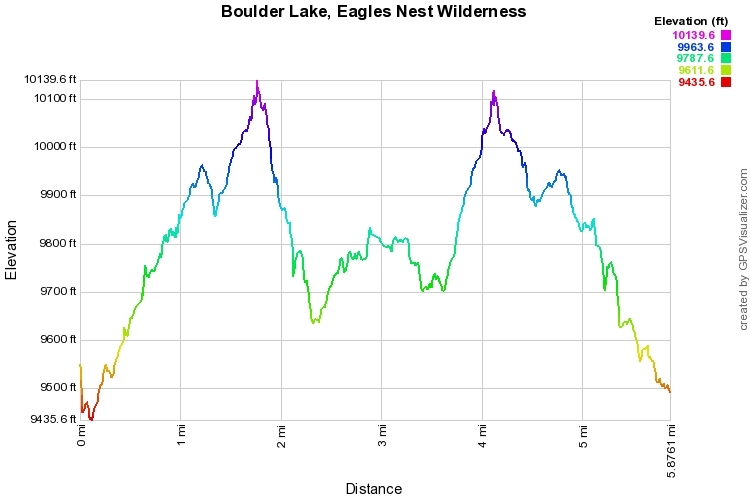 The lake is nestled in the trees but does offer a breathtaking view of some of the rocky peaks of the Gore Range. 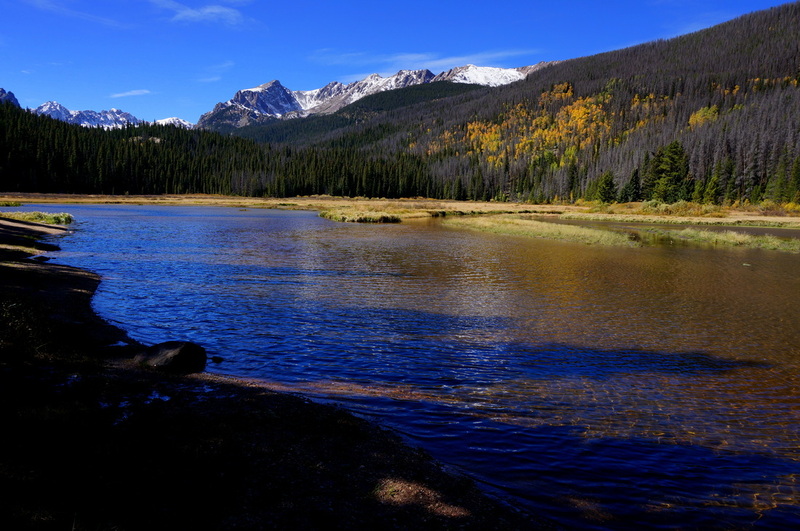 Enjoy your time exploring the shore of the lake and envying the campsites situated just up from the shoreline. 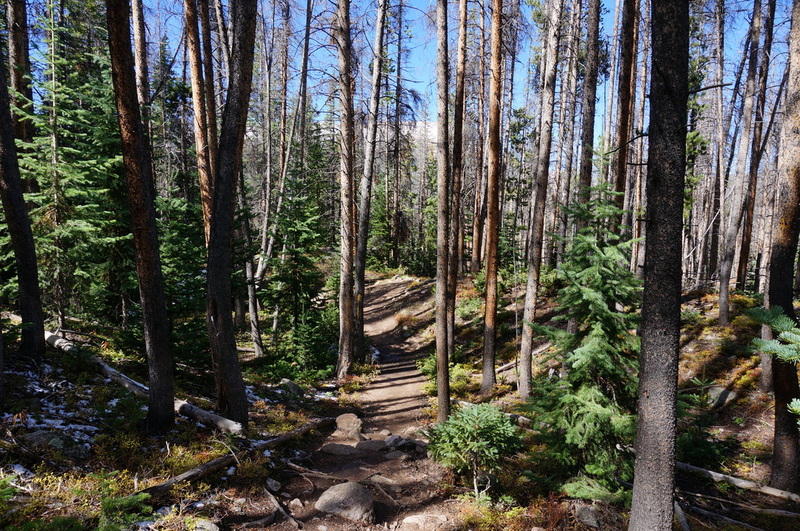 When ready, head back the way you came.